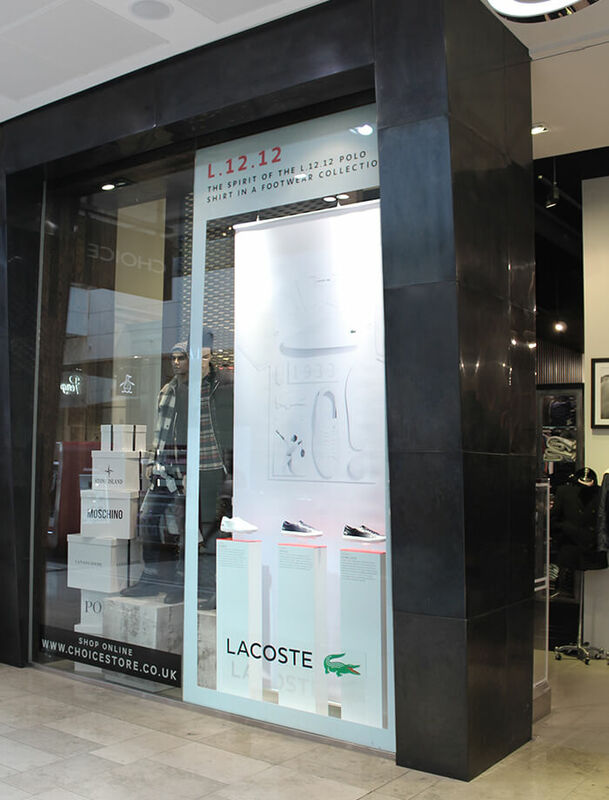 To launch the new L.12.12 range of footwear, we produced window displays for Choice and John Anthony stores across the UK. 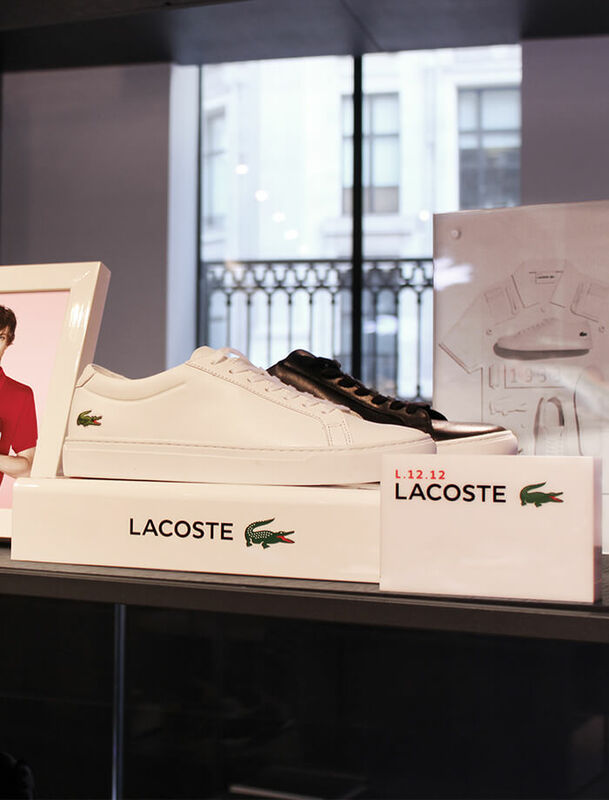 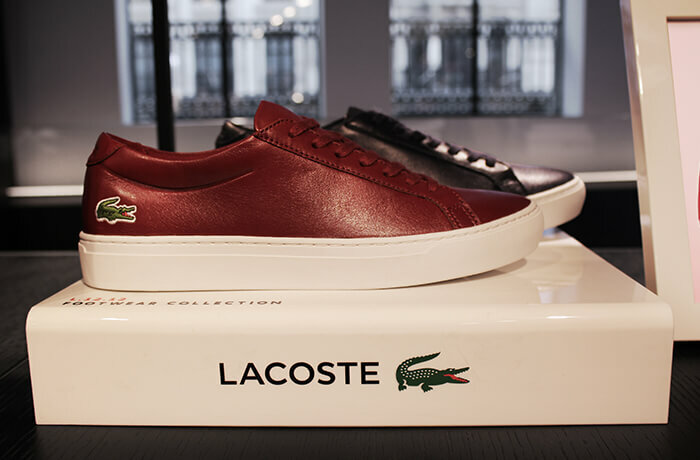 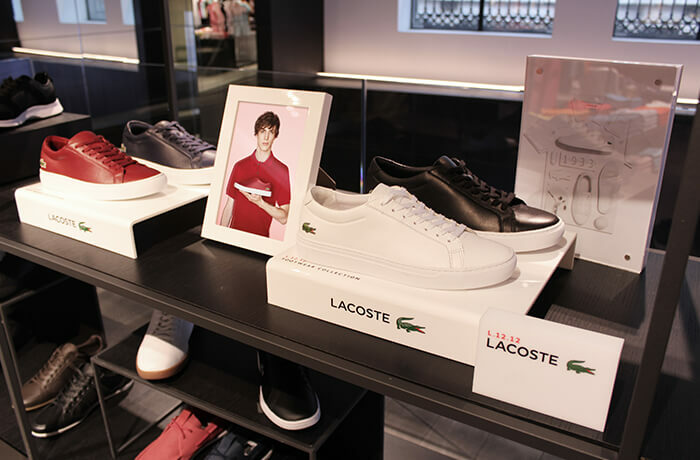 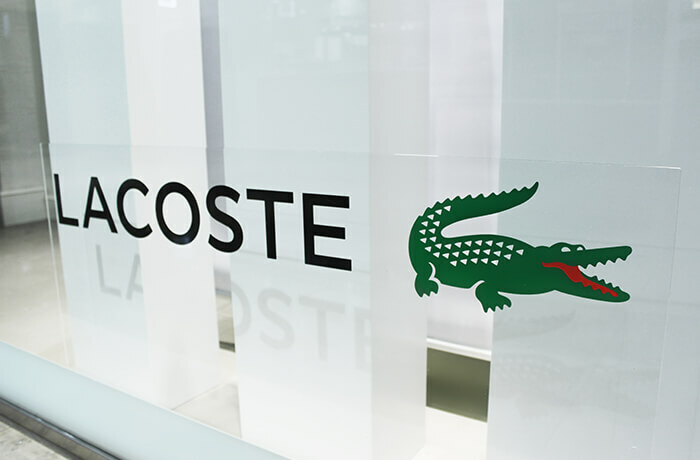 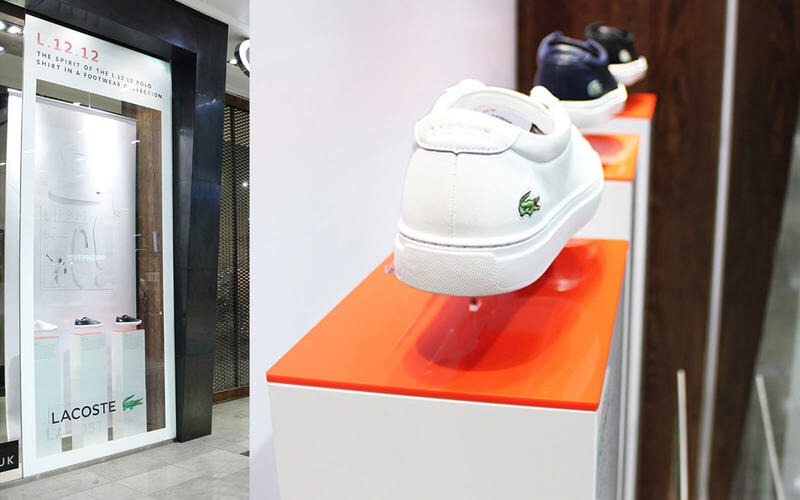 In addition, an accompanying set of instore point-of-sale displays were produced for Lacoste boutiques and retail partners. 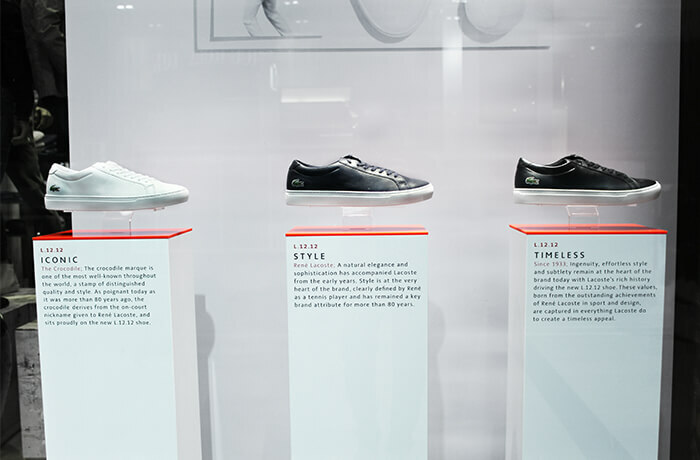 The window displays evoked a gallery feel, with the shoes suspended above simple white podiums that collectively tell the story of the L.12.12 polo shirt and its’ new iteration through footwear. 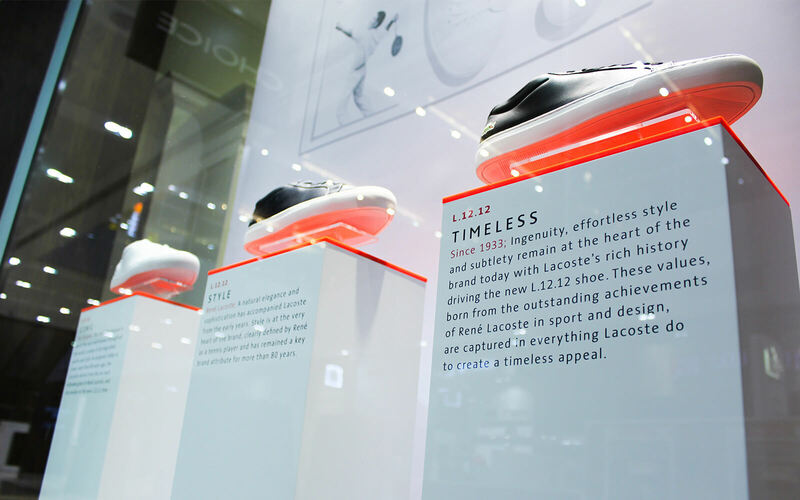 This was backed up with a large banner depicting the components that make up this new take on an icon.